Cleaning up after the holidays? 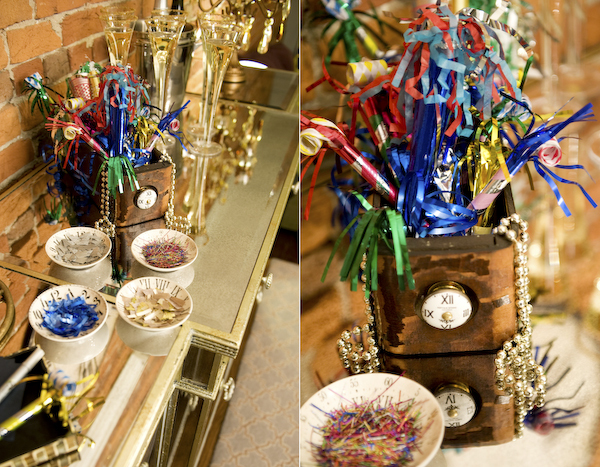 Before you head to the recycle bin, check out our do-it-yourself confetti station perfect for New Year's Eve entertaining! Ribbon, wrapping paper, tissue paper and tinsel make wonderful confetti. Simply cut your materials into little pieces, arrange in small bowls and you'll have a stylish confetti station perfect for New Year's Eve entertaining. 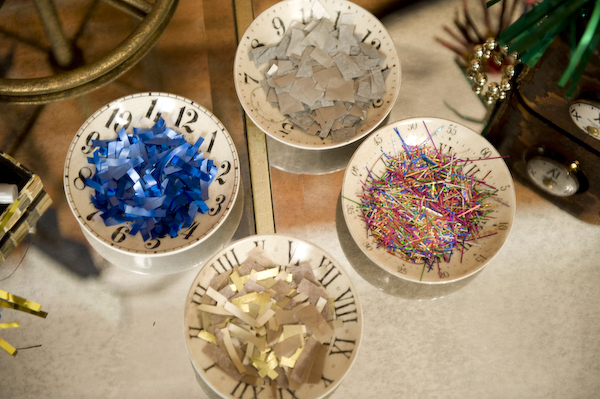 Guests will love the ability to pick their tossing confetti of choice to ring in 2013 ! Photos via our 2010 New Year's Eve photo shoot with Sweet Tea Photography originally featured on Elizabeth Anne Designs!